What we saw in Houston was a whole country coming together as one. For a little bit, we put our insignificant differences aside and helped each other the way we should. Boats came from all over the country. Monster trucks came too and helped people out of the floodwaters. Volunteers descended on the area to help those in need and money flowed in. Police, SWAT and first responders have worked tirelessly to save Texans. There are too many heroes to count. It has been an epic display of sacrifice, selflessness and bravery. Those that could not help physically or monetarily, have been praying for those in Texas. And here comes Chelsea Clinton in the mist of a very American moment and she attacks the President of the United States over it, making a fool of herself again. Chelsea laughingly hinted at the President being out of touch. Seems to me she’s the one with that problem and has had it her whole life. She totally misinterpreted what the President said and ran with it. She lets her hatred and viciousness get the better of her just like Hillary does. All of America is well aware of how dire things are in Texas. No one needs or wants Chelsea Clinton making it even worse. While Trump was lifting people up in Texas and giving them hope, all Chelsea could do was try and tear Trump down. Her efforts backfired on her BIG TIME on Twitter. They tore her apart over there. And it’s not the first or last time either. Funny, I didn’t hear of Chelsea giving $1 million to Houston the way Trump did. I don’t remember her going down there to save people, or feed the hungry. I never saw her hug children and tell them it was going to be okay. All I heard from Clinton was carping and whining. Until she gets her manicured hands dirty, she should put a sock in it. I really don’t know what her problem is and I don’t care. I have never thought highly of Chelsea Clinton. She’s a pampered nitwit who her mother sees carrying forward her political legacy. 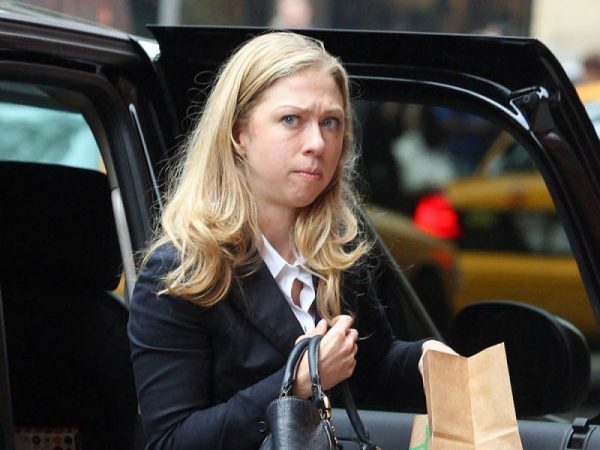 God help us if Chelsea really does get into politics. She’s a disaster on Twitter and outdoes herself in stupidity every time she opens her mouth. Like her mother, she is bitter over Hillary losing to Trump and she shows it. Trump can’t do anything right in her world. She lets her Trump Derangement Syndrome dictate her actions and words. The left has lost their minds permanently and that includes Chelsea Clinton. I'm not Trump fan… But he is right.